News & Blog | eMERGE Guelph | Live Lighter. Live Richer. A Guelph car dealer and local environmental organization are urging the federal government to keep strong vehicle pollution emission standards and move quickly on a Zero-Emission Vehicle (ZEV) strategy. Barry Cullen Chevrolet Cadillac and eMERGE Guelph Sustainability have joined over 40 environmental groups and businesses from across the country to ensure Catherine McKenna, Minister of the Environment and Climate Change, isn’t swayed by a U.S. attempt to slash pollution standards in cars and trucks. “We all know that burning fossil fuel is a leading cause of climate change and we need to accelerate the switch to cleaner vehicles” said Mark Cullen, General Manager of Barry Cullen Chevrolet Cadillac. “Stronger pollution standards will reduce household costs, increase jobs in the auto sector, improve air quality, and bring Canada closer to meeting its climate change goals” said Evan Ferrari, Executive Director of eMERGE Guelph Sustainability. In Ontario, transportation is the largest source of carbon pollution. Strong government policies have demonstrated that they can help consumers shift to cleaner alternatives. Canada currently has vehicle emission regulations that are designed to get tougher over time, aligned to be in sync with U.S. standards. The U.S. government is now planning to weaken these standards. If Canada follows, an important tool to reduce greenhouse gas emissions and cut air pollution will be weakened. “Canada needs to do way more. Scaling back these pollution regulations will bring our 2030 greenhouse gas reduction goals farther out of reach,” said Ferrari. Cullen added that “Auto parts manufacturers in the U.S. have pointed out that having stronger standards actually creates jobs, as well as ensuring a competitive advantage in an international market moving to cleaner, more efficient vehicles”. “It’s simple, I want my family and friends to breathe clean air and benefit from a safe climate. A Guelph environmental group introduces rebates for used electric vehicles (EV) this Saturday. “Our goal is to help price conscious car buyers make the move to electric” said Evan Ferrari, Executive Director of eMERGE Guelph. “We know that there is demand for affordable electric EVs – and every gas car off the road cuts household climate pollution by 4 tonnes a year” he continued. The rebate will be $1,000 towards the purchase of a used EV. The program starts April 15th for those that want to travel to the Plug’n Drive EV centre in Toronto or they can attend the Guelph EV Roadshow Sunday, June 2, 2019 . 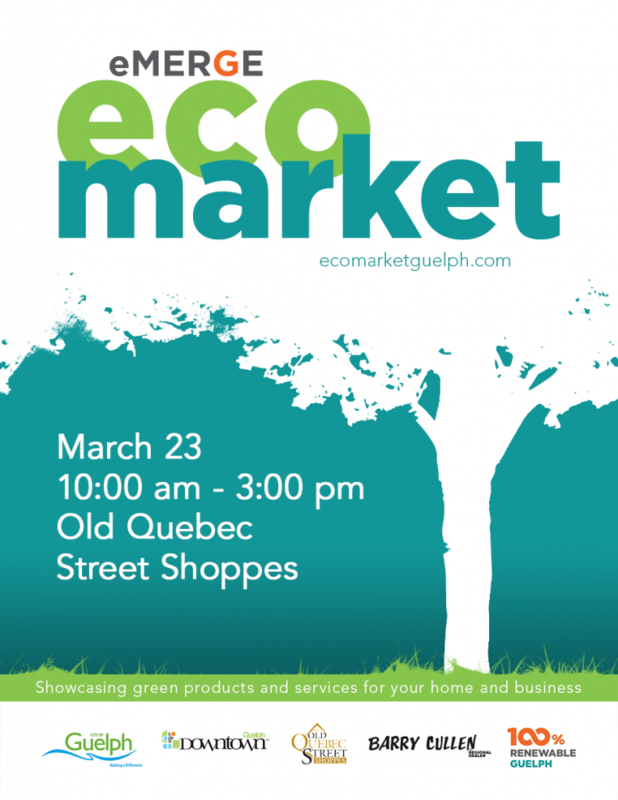 As part of the 12th annual EcoMarket, eMERGE Guelph will also be packing St. George’s Square with EV owners on Saturday, March 23 from 10:00 am to 3:00 pm. ‘Celebrity’ EV owners will include Mayor Cam Guthrie, MPP Mike Schreiner and councilors Leanne Piper and James Gordon. Transportation is a significant source of household climate change emissions. “eMERGE wants to bring the technology and enthusiastic EV owners to the square to share their experiences” said Ferrari. The eMERGE EcoMarket will extend beyond EVs into Old Quebec Street Shoppes. There it will showcase exhibitors promoting green products, services and programs ranging from worm composting to electric cars. They see this as an important part of the solution to climate change that will help us get to 100% renewable energy by 2050. Heading into its 12th year, the EcoMarket has witnessed a steadily growing crowd. In 2018, over 2,000 people were part of the expo. The EcoMarket is once again partnered with the City of Guelph’s H2O Go Festival, promoting water conservation, environmental stewardship and hosting a variety of games and workshops for families. We work with amazing partners! Thanks Steve (City of Guelph), Karen (Old Quebec St Shoppes) and Rasha (eMERGE). Net Zero Energy – A Vision For Clair Maltby? 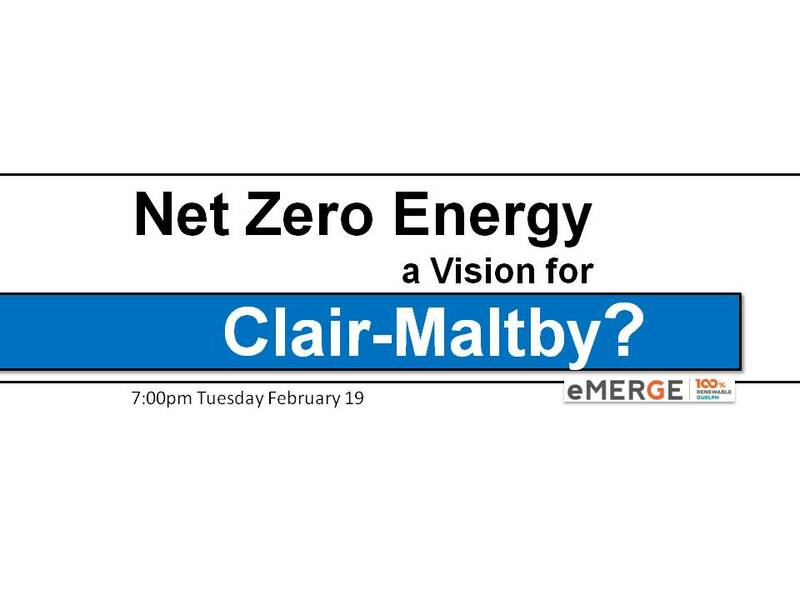 Could Net Zero Energy be a model for development in the Clair-Maltby area? A project in London, Ontario, is exceeding Guelph’s 2050 energy and sustainability goals today. Could this be a vision for Clair Maltby and the Baker District? We want to share this project with you at 7:00pm on Tuesday February 19, 2019 (the day after the long weekend). Join eMERGE and our sponsors in Downtown Guelph at the Old Quebec Street Shoppes on October 26th and 27th to celebrate ELECTRIC VEHICLES! If you visited last year, you will have seen a variety of Electric Cars on display and this year we are excited to introduce Electric Bikes as well. Come to hear from EV owners and distributors about their experiences with buying, owning and selling electric cars & bikes. On Saturday there will be free test drives for both cars and bikes so come compare the difference between EVs and non-EVs to learn for yourself why Electric Vehicles are the future of transportation. eMERGE’s Energy Efficient Home Tour event is back this year! We will be exploring another 3 energy efficient homes in Guelph. Come check out the unique projects and retrofits homeowners have completed to make their home first-class in energy efficiency and conservation and see how they are working towards 100% Renewable Energy in Guelph! Information regarding the 3 locations & maps will be shared soon. TO REGISTER for this FREE EVENT visit https://www.eventbrite.ca/e/emerge-energy-efficient-home-tour-tickets-48953799131. Remember the homes we visited last year? Read more about the efficient homes we visited in 2017 here: https://emergeguelph.ca/the-most-sustainable-homes-in-guelph/. We want to give a huge THANK YOU to our previous landlords at The Old Quebec Street Shoppes. We more than enjoyed our time in the office space on the second floor and we wish a warm welcome to the new tenants taking over the unit. eMERGE has MOVED! 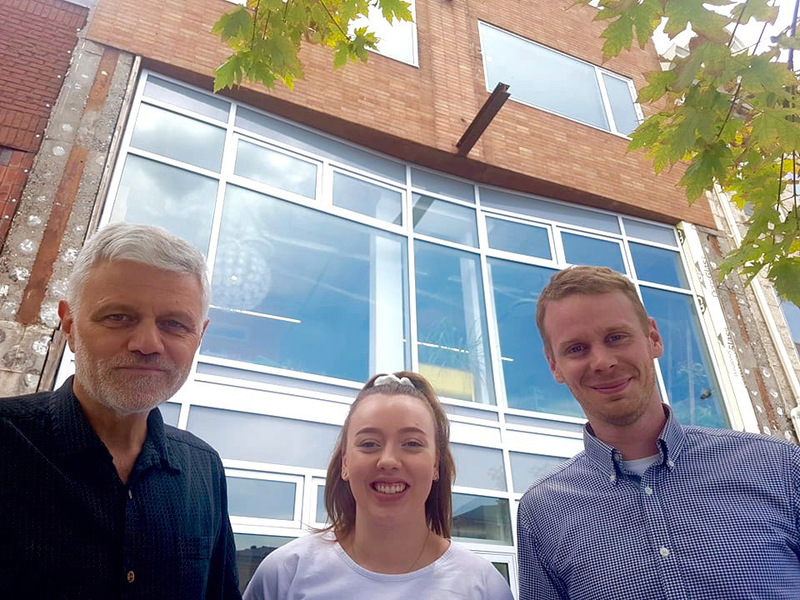 You can now find us at 10C, the shared working space and community hub at 42 Carden Street directly across from City Hall. We are looking forward to working in our new office space, among many other Guelph based businesses. THANKS 10C! Let’s Party like it’s 2050! We’ll be light on the speeches but have lots of time to celebrate a great first step! And if that wasn’t enough – June 21 is the summer solstice. A day when solar panels across Guelph bathe in the sunlight for longer than any other day of the year. Limited space – registration is necessary but free. Complementary light refreshments will be served. 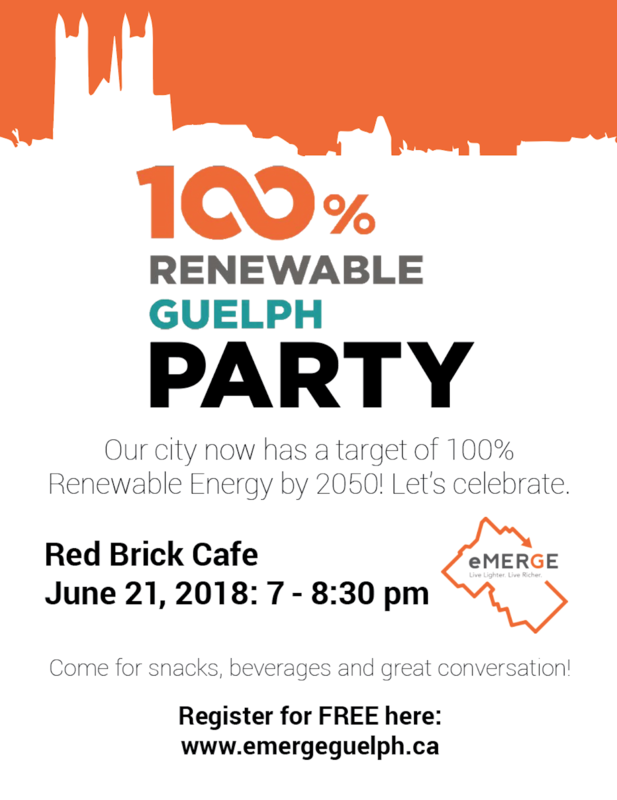 To register for this free event please visit https://www.eventbrite.ca/e/100-renewable-guelph-party-tickets-46979126833. You can read more on the city’s commitment to 100%RE on our last blog post, https://emergeguelph.ca/city-council-commits-to-100re/. Exciting progression is taking place in Guelph! With all of your help from the citizens of Guelph along with eMERGE we were able to encourage Guelph to pass the vote on Renewable Energy by 2050 (corporate target)!! This past Monday, City Council approved the target to get Guelph City operations using 100% Renewable Energy by 2050. All city operations including water pumping, waste management, city vehicles and buildings, public transit and more will all transition to renewable energy. Encourage solar panel installations to help homeowners offset their own household electricity use. If you haven’t made the pledge yet, take the steps to commit to 100% RE on our website. This was only part of the good news as we continue to pursue Guelph to become a 100% Renewable Energy city. Guelph is ready! To learn more about 100% RE visit https://emergeguelph.ca/our-programs/100reguelph/. Make the pledge by clicking the link “Make The 100% Renewable Commitment”. For the full City of Guelph article, please visit https://guelph.ca/2018/05/council-unanimously-accepts-energy-guelphs-community-energy-recommendations/. Did you know that this June is Bike Month? From May 28th – June 30th there will be many events across Ontario to celebrate biking. To kick off this celebration of healthy and fun transportation, Monday May 28th is Bike to Work Day! People across the country will be collectively biking to work together to celebrate cycling. Sign up for Bike to Work Day on May 28th and you could win a $500 voucher to MEC or VIA Rail! To register visit http://bikemonth.ca/biketoworkday. You can also gain another contest entry by referring a friend or coworker to sign up. Contestants must participate in a Bike to Work or Bike Month event and guess what, you’re in luck! Guelph is having the Love Your Bike Festival again this year on Saturday June 23rd. It will be located at St Andrews Church, 161 Norfolk St, Guelph. You can learn more about this event at http://bikemonth.ca/events/1588?location=guelph. We will be at the Love Your Bike Festival to chat about Renewable Energy in Guelph and our Home Tune Up program – but we’ll also compliment your bike skills! Biking is prominently one of the healthiest modes of transportation for individuals, communities and the globe. To lower your fossil fuel usage, biking can be a big step to changing your emissions. By biking instead of driving you can save anywhere from $7,000 – $10,000 from not having to purchase as much gas. The most efficient way of transportation is using your own energy to transport yourself. It will help you save money and the environment while also getting a workout in at the same time. Come find our booth chat more about it! 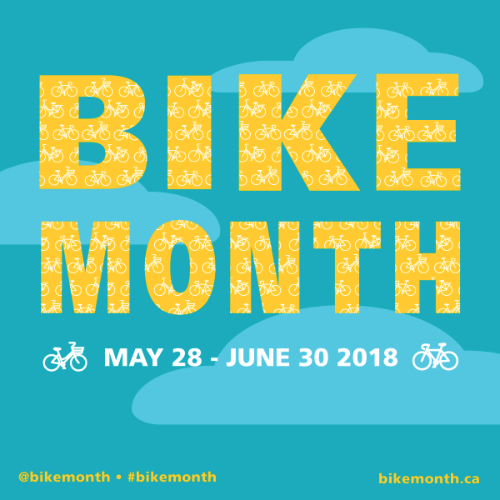 If you are interested in what other events are happening in Guelph for Bike Month you can view the list at http://bikemonth.ca/events?location=guelph. Are you interested in where your water comes from? You can come for a free tour of the water facilities in Guelph! 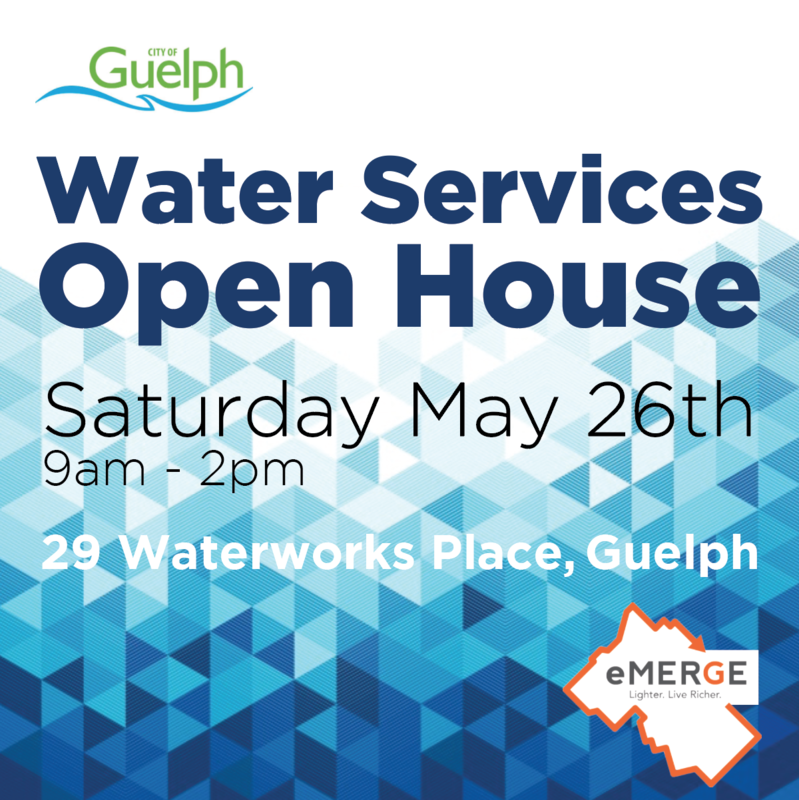 The Water Services Open House in Guelph is this Saturday May 26th between 9am – 2pm. Come on your own, with your family, or with friends to check out this fun event. There will be tours, games and activities, popcorn and snacks, a plant sale, a rain barrel sale and more! eMERGE will have a booth set up inside where we would love to speak with you about Guelph’s water conservation programs and rebates. This event is age and family friendly and it will be held at the water facilities located at 29 Waterworks Place, Guelph, Ontario. Read more at https://guelph.ca/event/water-services-open-house/.